Maybe your child set foot inside their classroom for the first time today, or perhaps they’ll take their first tentative steps into their new school later this week. 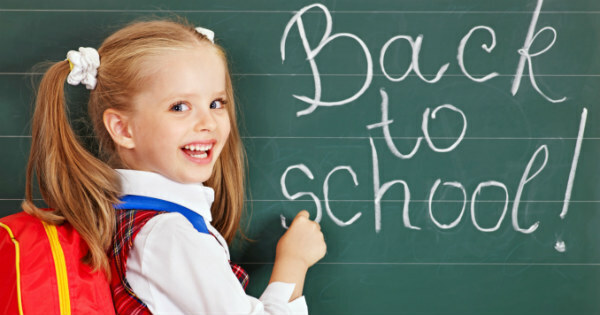 Either way, those first school days are an exciting, nerve-racking and emotional time for kids and parents alike. But don’t fret – here’s how you can make it easier (at least for the kids). Monash University education lecturer Wendy Goff says starting primary school is a major transition for the whole family. It can dramatically alter a family’s routine and change relationships between siblings. She says staying optimistic is a great help to children going to class for the first time. “It’s very difficult for parents as well; they’re experiencing their own anxiety. It’s really important to be positive about school and to share the positive things, try not to show the anxiety. Try to make it a supportive experience,” she says. If your child is starting school later this week, she recommends doing a practice run beforehand – for the parent’s benefit as much as the child’s. Set up a clear routine: “Let them know you will be back and where you will collect them,” Ms Goff says. Drop them off and pick them up on time to avoid anxiety. Talk about toileting: Ms Goff says at kinder or home, children can usually take themselves to the bathroom. But this can be quite daunting in a bigger school, so talk to your child about where the toilet is and how they get there. Share stories: Tell your children about your own school experiences, both positive and negative. Talk through strategies, using different scenarios if necessary – for example, by sharing a story about a “friend” who was having an issue and what they did about it. Make sure children get enough rest: Hopefully bedtime routines are already in place from preschool, but you may find they are particularly tired in those first few weeks. “Children need a lot of sleep to be able to function effectively in the classroom,” Ms Goff says. Most important, Ms Goff says, is that parents trust themselves and their instincts. “You are your child’s first and most influential teacher and don’t forget that, and don’t forget to share what you know about our children with the teacher and with the school. You know your children,” she says. If you need any last-minute items and accessories, check out our latest back-to-school guides. Is your child starting school this year? Are they excited?